SAN ANTONIO (April 15, 2019) – On Sunday, April 14, Las Casas Foundation awarded its one-millionth dollar in scholarships and grants at the 2019 Joci Awards, maintaining its designation as the largest scholarship funding source of its kind in the United States. The organization’s 11th annual performing arts scholarship competition, hosted by News 4 San Antonio’s Randy Beamer, featured 25 finalists from high schools in San Antonio and the surrounding area acting, singing and dancing, as they competed for a chance to win a portion of $118,500 in scholarship and grant funds and for two finalists, the chance to advance to the National High School Musical Theatre Awards in New York City. Additionally, four Production Assistant Interns were awarded scholarships, eight students were recognized as One in a Million scholarship recipients, three schools were recognized for their outstanding achievement in musical theatre production, and two students were awarded with full scholarships to attend the NYU-Steinhardt Summer Study in Music Theatre this August in New York City. 25 finalists stepped into the spotlight, having been chosen from a field of more than 135 applicants from 42 schools throughout South Texas. Finalists were guaranteed scholarship funds ranging from $3,000 to $6,000, with notable guest judges evaluating their live performances to determine the amount for each. An additional $10,000 was awarded to the best overall performance. The Joci Awards Production Assistant Internship Program was presented as part of Las Casas Foundation’s annual scholarship program and in affiliation with Blanchard Creative Group. 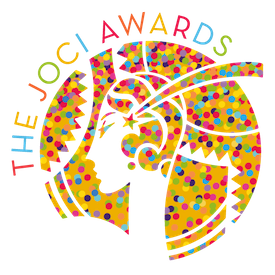 Under the direction of this professional production company, Production Assistant Interns played a critical role in the creative, technical and musical aspects of the 2019 Joci Awards. Each assistant was awarded a $1,000 scholarship to the college or university of their choice. In celebration of awarding its one-millionth dollar, Las Casas Foundation honored a group of outstanding young students. One in a Million scholarship recipients each received a $1,000 scholarship to the college or university of their choice. Chosen from a field of more than 20 productions, three schools were honored for their musical theatre productions and each received a $500 stipend to support their theatre program and a special trophy to be displayed in the school’s award case. A teacher or director from the top production will also receive the chance to attend the National High School Musical Theatre Awards in New York City in June. In partnership with NYU – Steinhardt, Las Casas Foundation granted two students with full scholarships to attend the NYU-Steinhardt Summer Study in Music Theatre this August in New York City. During this highly competitive, two-week intensive, students will have the opportunity to take voice lessons, dance classes, song analysis classes and acting classes with NYU faculty. Additionally, students will have the opportunity to take masterclasses with industry professionals and attend three Broadway shows. About Las Casas Foundation — Las Casas Foundation is dedicated to the development of the performing arts through education and scholarships, and the restoration and preservation of historic theatres. Las Casas Foundation offers a variety of educational initiatives to nurture and grow the performing arts, including the Las Casas Performing Arts Scholarship Program, which has awarded more than one million dollars since its inception in 2009, as well as additional educational and training opportunities like Behind the Scenes and Camp Broadway. For more information, visit www.lascasasfoundation.org.